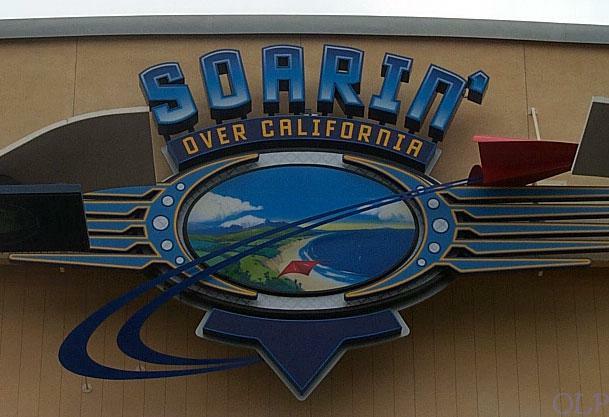 When Disney California Aventure opened in 2001, one of the opening attractions was Soarin' Over California. In this edition of Music Behind the Ride, I'll explore the music used and the versions around the world. With Soarin' Over California, the extremely popular flying simulator incorporated the feeling of hang gliding over various California sights, including the Golden Gate Bridge, Napa Valley, Yosemite, Downtown Los Angeles and even returning to Disneyland. Scents and the swinging ride vehicles are also used through the ride to match the locations. The innovative ride system with the stunningly large Omnimax screen made the ride an instant hit. 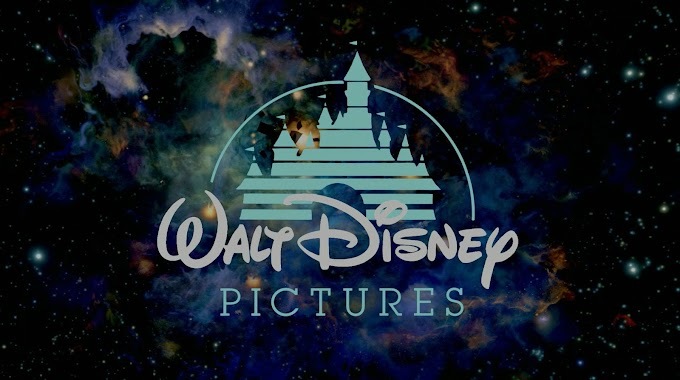 Not all are flight related, but have the inspirational orchestral sound Disney was looking for. Once the seats have risen up, the ride video and the stirring Jerry Goldsmith score take over. The 4 minute orchestral and synth score alternate between the opening fanfare and sweeping main melody. The majestic brass and cymbal crashes are synched with the film, ending with the twinkling magic of returning home. Story goes that Goldsmith left the ride in tears and was happy to compose the ride score. Expanding into Walt Disney World's Epcot in 2005, it was renamed to Soarin'. The show building used an airport theme, taking you on Flight 5505 to California. The queue music and ride video were identical to California Adventure. Soarin' quickly became one of Epcot's most popular rides, with wait times easily up to two hours. The biggest change was the closure, refurbishment and reopening in 2016. 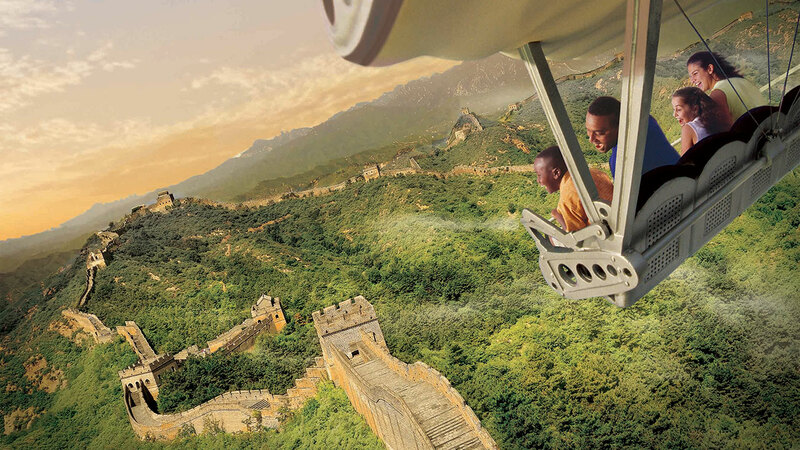 Both versions of the ride were renamed to Soarin' Around the World. Straying far from California, this new video travels past the Alps, over ice fjords, the Sydney Harbor Opera House, Neuschwanstein Castle, a herd of African elephants, the Great Wall of China, the Great Pyramid, Taj Mahal, the Eiffel Tower at night before arriving at the Disney park of your departure. Shanghai Disneyland's Soaring Over the Horizon is the same 2016 music and video but ends with the glowing skyline of downtown Shanghai. With the ride video changing, Bruce Broughton arranged new music for the ride. Thankfully, the main themes from Goldsmith's score are still present. Broughton added more orchestra embellishments into the arrangement and also allowed the orchestration to change with the various locales. 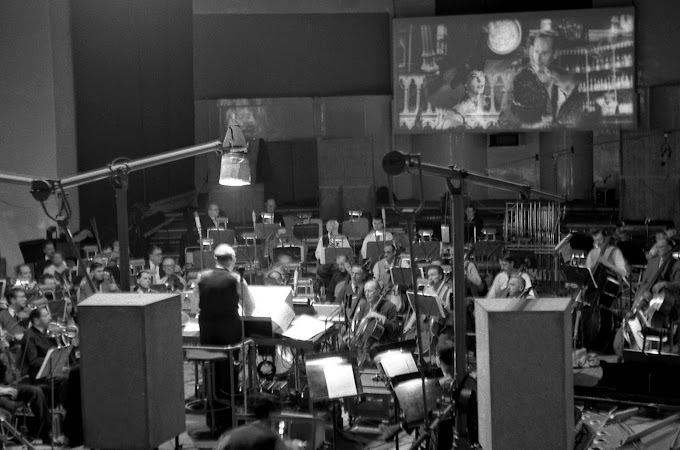 The London Studio Orchestra recorded this new version at Abbey Road, and you can hear all the international flavor added, like the African drums and the Indian sitar, among the others. The ride will expand again in summer 2019, with Soaring: Fantastic Flight at Tokyo DisneySea. As far as recordings, Goldsmith's original ride score first appeared on the Music from California Adventure album in 2001. It has since appeared on several Walt Disney World and Disneyland compilation albums. Broughton's newer arrangement hasn't been released yet, so you'll have to go experience it yourself!